If you need to have reliable Internet access while you're away in your motorhome, campervan or caravan, satellite access is the only option. No matter where you are in UK or Europe, we have a system that will enable you to access the web in just the same way that you do when you are at home or at work. Systems can also be used for TV reception too. Need internet access in a vehicle with similar functionality to what they’d expect at home or at wor..
Rhino Installs can supply and fit Internet Satellites from manufacture such as Oyster and Cr. Automatic broadband internet Satellite dish systems with skew, twin, i-LNB which will pick up in Europe with SKY Box or SKY Q boxes internet and TV signals. Motorhome, Campervan and Caravan TV & Satellite installations carried out by ourselves at our NCC Approved fitting centre in Lancashire. Please contact us and we will be happy to help. 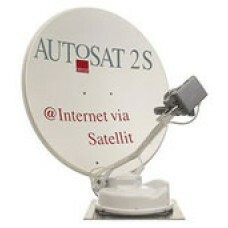 We have fit to all types of motorhomes and Caravans, Click here for pictures of our internet Satellite installs. Fitted to manufactures such as Swift, Hymer, Bailey, Lunar, Burstner, Pilote, Rapido, Autotrail, Elddis, Besscarr, Globecar and many more.